Global streamer Amazon has commissioned two original children’s animated series from DreamWorks Animation Television. 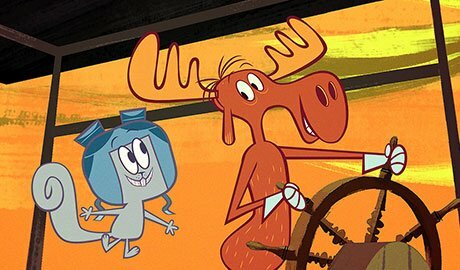 The first is a new season of classic animated series The Adventures of Rocky & Bullwinkle, which will be available to Amazon Prime subscribers in US, UK, Germany, India, and Japan from May 11. The second is Kung Fu Panda: The Paws of Destiny, which will be available in all of Prime’s territories later this year – the first time an original from DreamWorks will be offered to Prime subscribers worldwide. DreamWorks previously teamed up with Amazon’s rival global streamer Netflix on original series based on library IP. Rocky & Bullwinkle is a serialised comedy about two best friends who harbour dreams of becoming rock stars, and is executive produced by Scott Fellows and Tiffany Ward. Kung Fu Panda: The Paws of Destiny is an adventure series from executive producers Mitch Watson, Elliott Owen and Lane Lueras. The show follows four panda kids as they embark on a mission to save the world from an evil force.